Oh how I do love this dress. It says purple on the website but I'd say it's more of a cornflower blue in real life, which just so happens to be one of my top three colours. Yes, I have a list of my favourite colours, deal with it. I popped it on today for a cinema date with Rob... Do I live in a cinema, I hear you ask. Well, no, but I might as well - my Cineworld card has been well and truly used and abused as of late. We went to see World War Z, which was another long one but, despite the genuine fear instilled in me throughout the majority of it, I actually really liked it. When it was being filmed in George Square in Glasgow a while ago me and Rob went down to watch, so it was exciting getting to see it in action. I got carried away and, in my excitement, shouted, 'THAT'S GEORGE SQUARE, ROB'. The next ten minutes were spent being thankful for the cover of darkness a cinema provides. Carrying on with the excitement theme (prepare to be blown away) I bought some Nandos Piri Piri sauce tonight - I can almost hear you shouting 'Wooo!' in your rooms - so I'm off to make some dinner based solely around it. Ok, that's a lie. I'm not making anything because everything I touch turns to a charcoaled mess. Rob's going to make it while I... pick songs on the iPod to accompany his cooking, or something. another beaut of a dress! i wish i could see the inside of your wardrobe it must just be full of amazing dresses. What a gorgeous dress! It looks amazing on you. 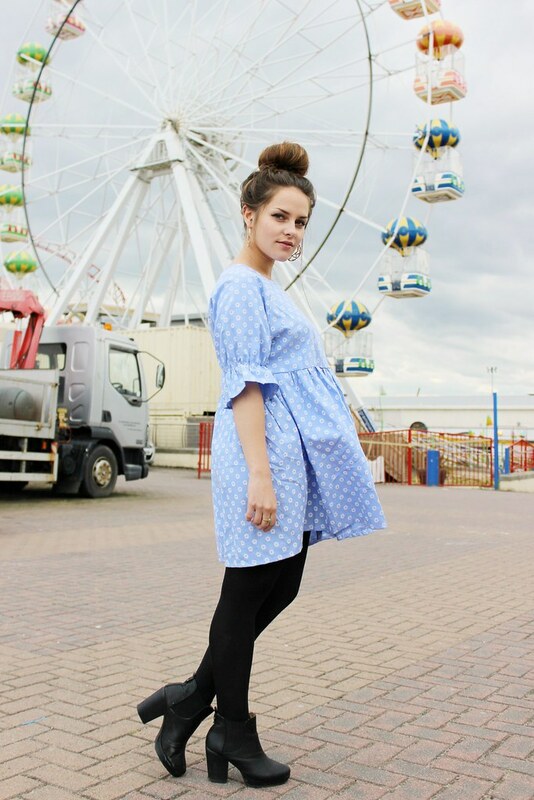 Gorgeous dress :) Smocks just look ridiculous on me but this looks lovely on you. Beautiful photos! I love the color and shape of your dress... so cute! Eeep, these snaps are amazing! Such a cute frock, love your hair like that too. Jealz you watched World War Z, I can't wait to see it! You look awesome- I love the dress. You look gorgeous, the dress is so floaty! I love a good ol' smock! 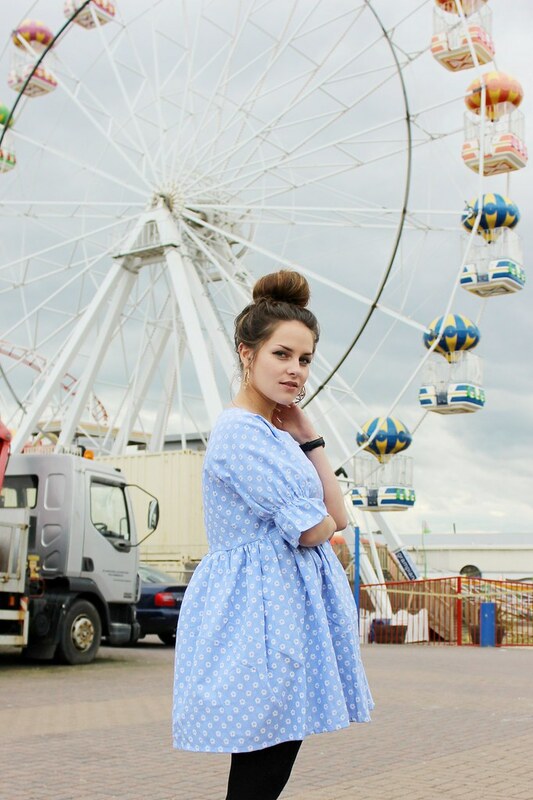 I remember seeing this dress on sheinside awhile ago and thought it was so pretty. It looks gorgeous on you! Recent new follower and adore your style! Came across your blog from LinkedIn, really good job! 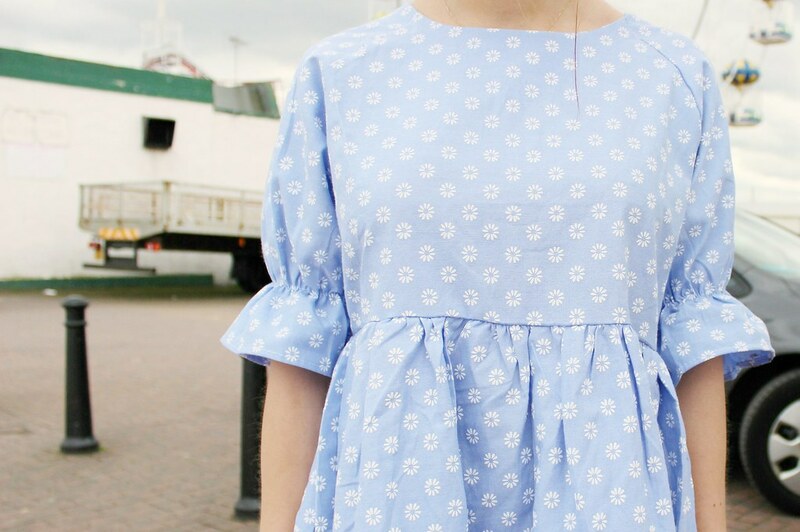 And I seriously love the smock dress, definitely buying one of my own :) lovely photos!